LANSING, Mich. - Sept. 27, 2017 - PRLog -- Join Michigan Trails & Greenways Alliance on Sunday, October 1 for the 4th Annual Trail Towns Tour. This casual fall color tour circumnavigates the picturesque paved multi-use trails between South Lyon, Wixom and Milford in Southeast Oakland County's Huron Valley. In 1883, Grand Trunk Railroad built their Jackson Branch from Pontiac to Jackson, which crossed the Pere Marquette at South Lyon. Today, this is a paved bicycle trail that follows the original route. Rider highlights will include this historic rail trail, the Michigan Airline Railway Trail, through the tunnel underpass at I-96, over Ford Dam, Hubbel Pond, a jaunt along the winding paved trail at Kensington Metropark's Kent Lake to Island Lake Pathway and back to the quaint downtown of South Lyon. For riders that would like to explore more, the Huron Valley Trail also connects with miles of paved trails in Island Lake Recreation Area and Kensington Metropark. Island Lake Recreation Area is a 4,000-acre park in Livingston County that offers an "up north" experience without leaving southeast Michigan. The terrain is a mixture of open brush land to mature hardwood forest, with some pockets of open meadows mixed in. Island Lake is the only balloon port in the state park system. Kensington Metropark features an 18-hole regulation golf course, 27-hole disc course, nature center, farm center, beautiful picnic areas and scenic hiking and biking trails for hours of enjoyment. 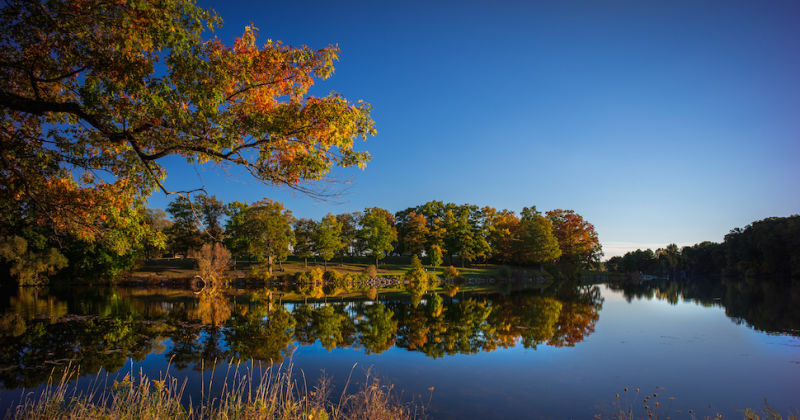 With two and a half million visitors every year Kensington Metropark is a favorite place to enjoy Michigan's natural treasures. This is a fully supported bicycle ride with SAG stops provided by American Cycle and Fitness, South Lyon Cycle and Vincere Cycle and the Friends of Island Lake. Complimentary Cider and Donuts from Erwin Orchards will be available to cyclists at T&M Asphalt SAG Stop. More treats will be on hand at the Central Park SAG in downtown Milford and the Island Lake/Kensington trail crossroad. The route is mostly paved, with about 4 miles of hard pack dirt road between South Lyon and Milford. In total, the tour is 30 miles with additional miles available in Kensington and Island Lake for those that want to ride more. The cost is $35 for adults, $20 for youth ages 11-17 and those 10 & under are free. The event starts and ends at Witches Hat Brewing Company. The name of the brewery itself comes from a South Lyon landmark: a one-hundred-year-old train depot called the Witch's Hat after its conical design. This fundraiser benefits Michigan Trails and Greenways Alliance for state-wide initiatives to create an interconnected system of Michigan trails. Online registration is open through midnight Saturday, September 30th here: https://runsignup.com/Race/MI/SouthLyon/TrailTownsTour.